Whenever I get asked about a neighbourhood that can't be missed in London, St. James's is always the first suggestion that comes to mind. This is the place in which I learned the trade of public relations. This is neighbourhood that guided me into a love affair with one of the most spectacular cities in the world. 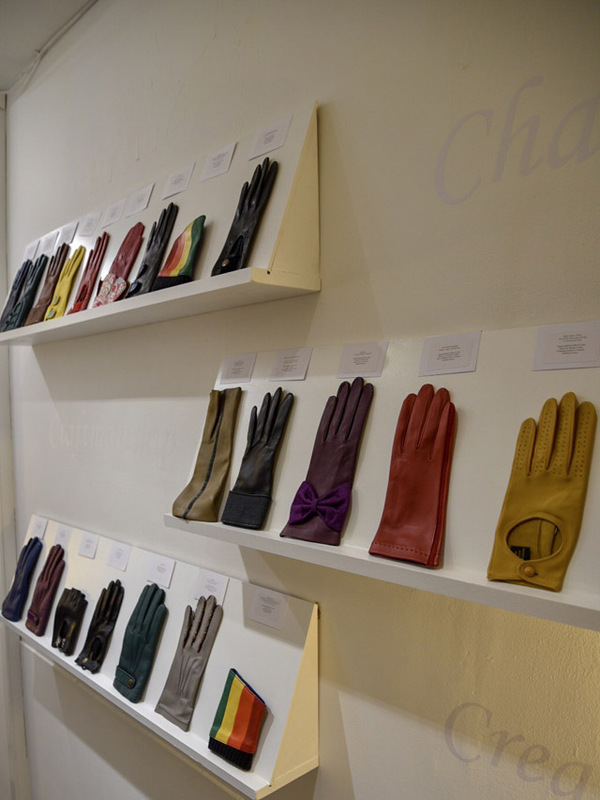 From small local designer boutiques to some of London's most expensive designer department stores, there is something here for every shopping taste. 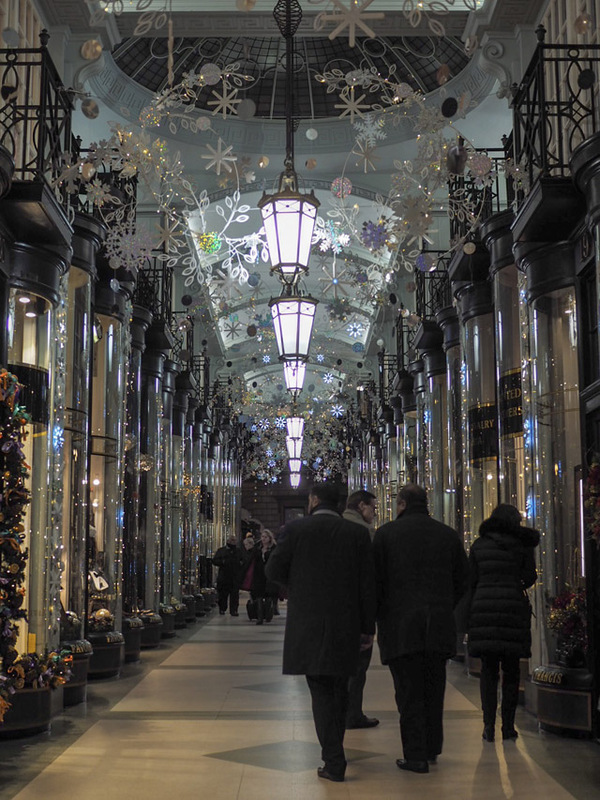 A walk through St. James's is a walk back in time, with well kept store fronts that date back centuries and arcades that have seen their share of famous footfall. One simply cannot be in love with London without being in love with this historic neighbourhood. So, you can only imagine what a spectacular sight it is to see St. James's all lit up for the festive season. 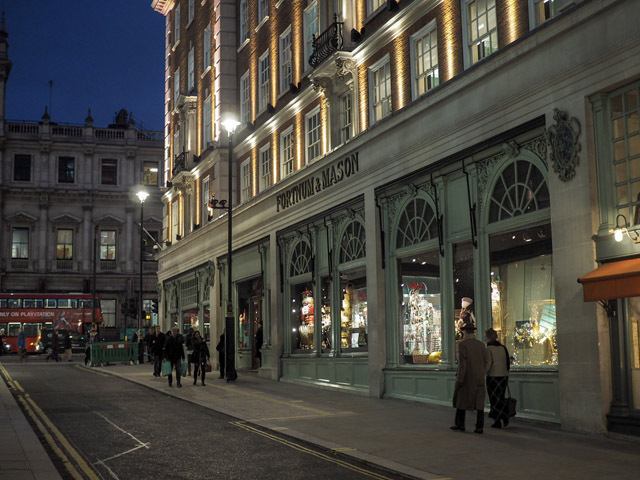 When the spirit of Christmas comes to town, it spreads like wildfire here, from Fortnum & Mason all the way down to St. James's Market. 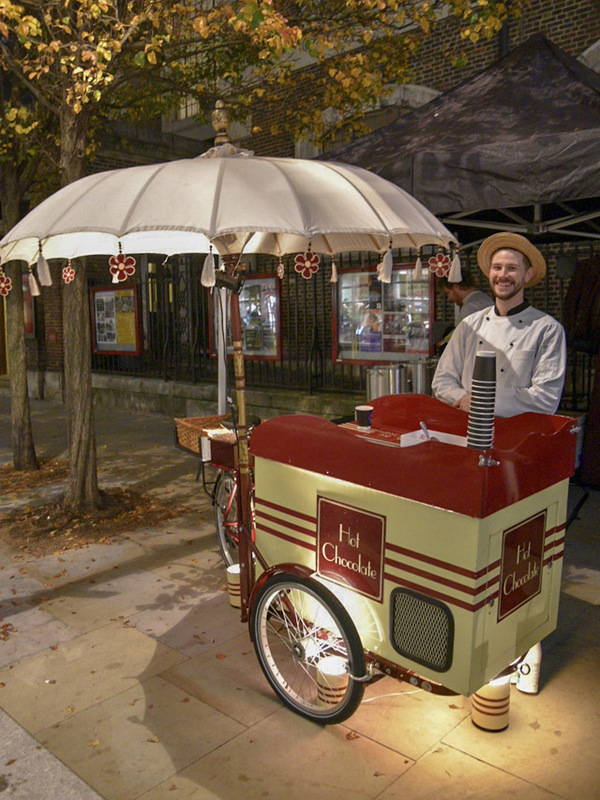 On November 15th, St. James's officially switched on their Christmas lights with quite the street party. 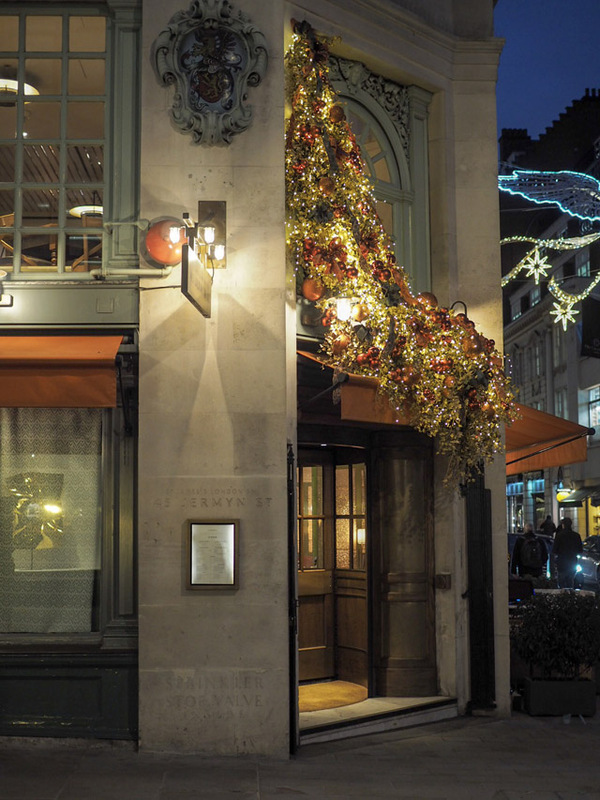 With the world famous Nyetimber sparkling wine free-flowing, carol singers performing and churros ready for chocolate dipping, this was a merry street indeed. 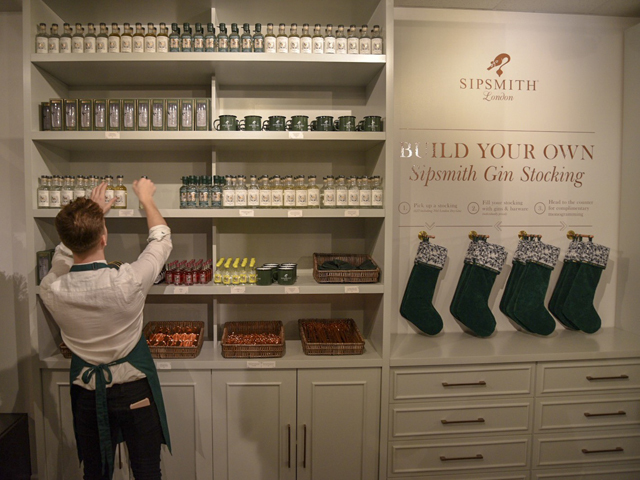 We started our night checking out the new Sipsmith Gin pop-up, where my every wish has been granted with the invention of the gin stocking! 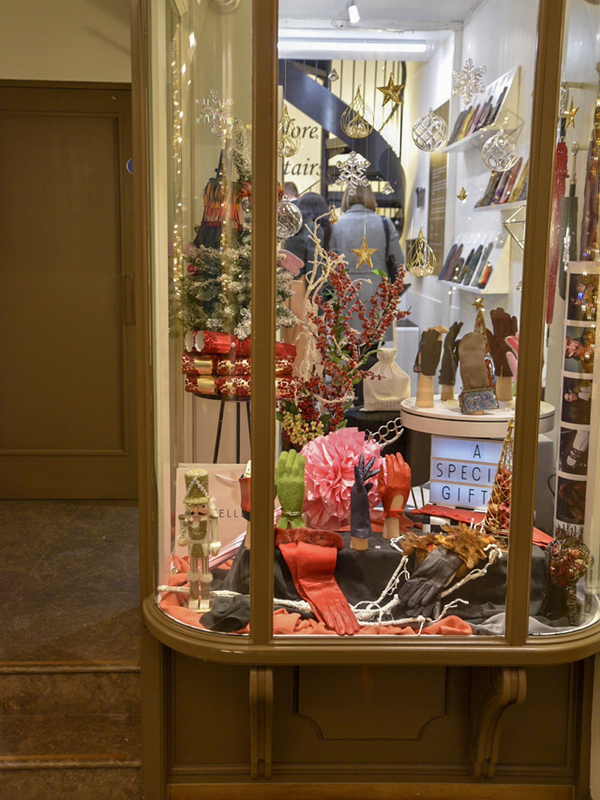 Also, you must pop in here for a warming cocktail and a chance to buy limited edition festive gins for the holidays ahead. One can never have too much gin on hand for the holidays. 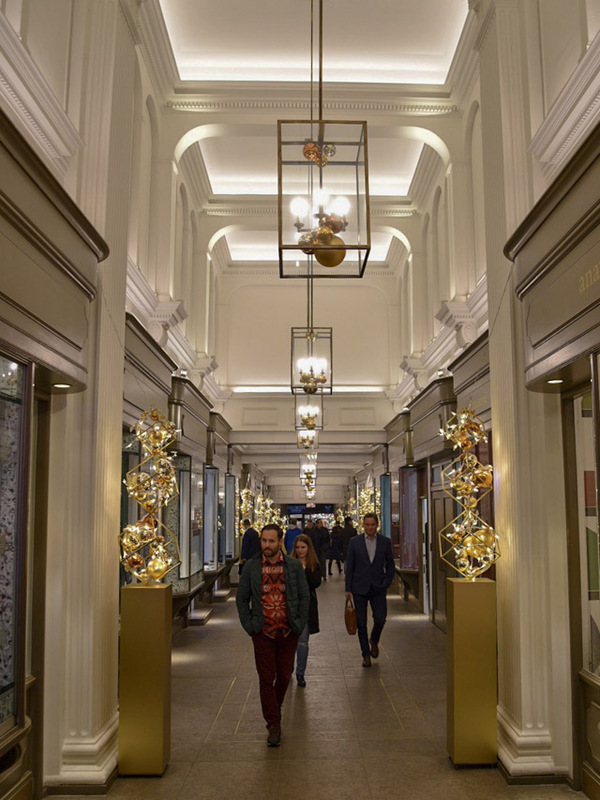 From Sipsmith, we made our way up and down the famous shopping arcades in St. James's. 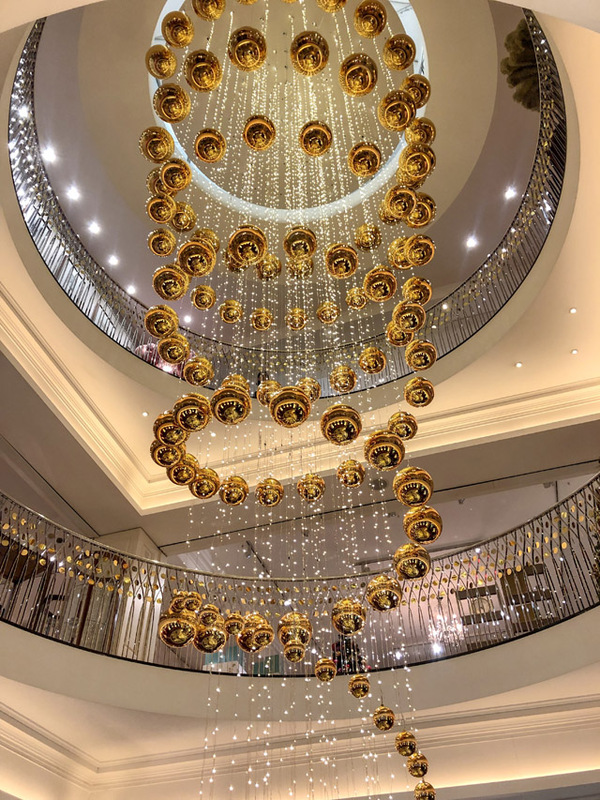 They were all lit and decorated for the season and featured dozens of swish retail shops taking part in the celebrations with special discounts and the occasional tipple here and there. 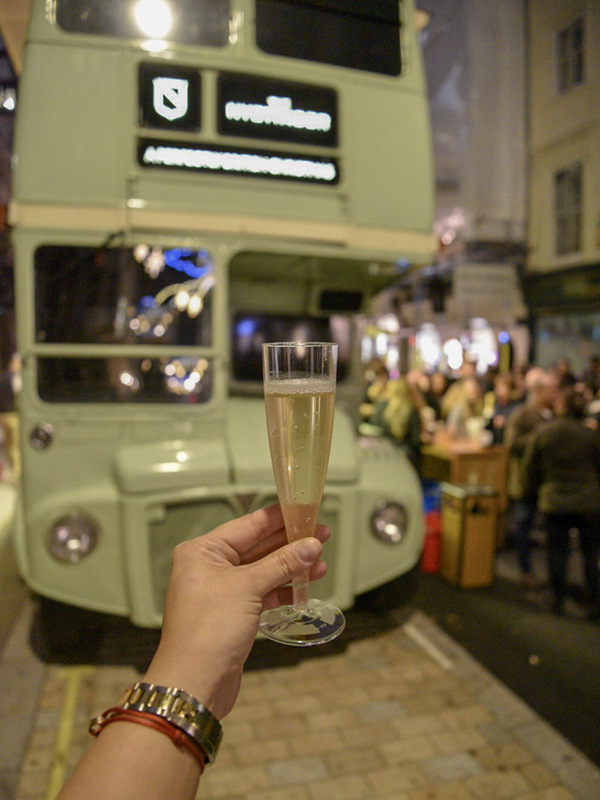 And finally, we hit the main party on Jermyn Street, where the Nyetimber bus was parked up and serving up sparkles with a smile. 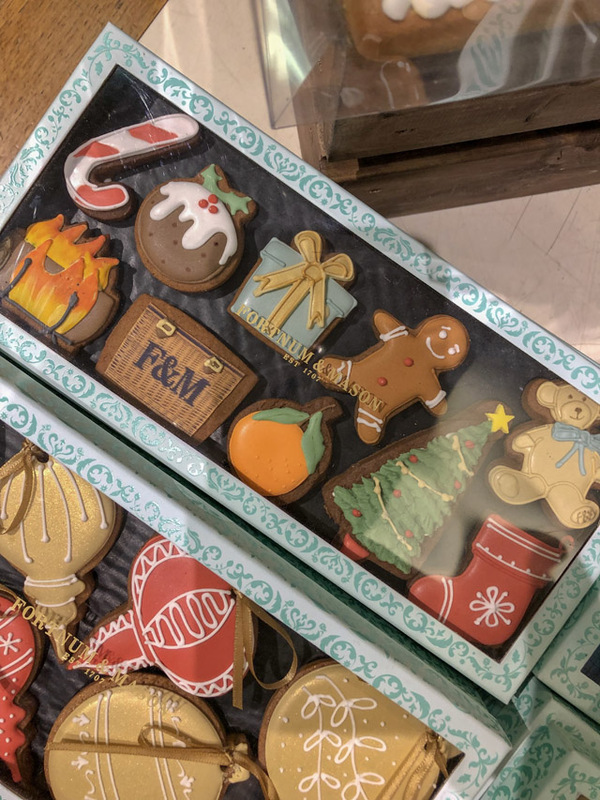 As we walked along the street, we stopped for hot chocolates, churros, selfies in a mini cooper and special moments filled with holiday cheer as we were serenaded by talented performers. It was most certainly a night to remember. But, never fear, the Christmas spirit remains for those wishing to visit today! Now that the lights are lit, the neighbourhood is in full swing and ready for cheering on a steady stream of visitors. Enjoy! For more information visit: St. James's London.